Hi, Mentors! Check out the details for the TSIC Annual Project inside this newsletter. Your mentee is going to need your help and guidance on this year's project. Hi, Mentor ! We hope you are having an awesome week! The Take Stock Pasco staff has been super busy this week with final preparations for our AIM for Education clay shooting event which take place this Friday. We are hoping for another successful event this year as we typically raise enough money to provide 6 to 7 scholarships! We wanted to send out a quick note, though, to give you the details on the scholars' annual project which is due Monday, April 1. They're going to need your help! On Monday, our program coordinator sent an email to all scholars in grades 9 through 11 outlining the details of this year's annual project. Mentors and mentees will collaborate on this project which might require a few sessions to complete before the April 1st deadline. You will need your Mentor Toolkit for this project and use of a computer which might require having your session(s) in the media center. If you need a Mentor Toolkit, let us know and we will get a copy to you. You can also view the Toolkit online and print select pages by clicking here . ﻿Your mentee will work with you to complete Activities 36, 38-39 plus some research on an available position of employment at a company the mentee could see him/herself working someday. To read the full details of the project requirements, click here . The annual project is mandatory for TSIC scholars in grades 9 through 11. Graduating seniors or those currently in middle school did not receive an email from us and are exempt from the annual project. However, they are certainly welcome to complete it as it will not be a wasted effort. If you have any questions about this annual project, please don't hesitate to contact us. Do you use the TSIC Mentor Tool Kit during sessions with your mentee? The activities inside are based on interviews and focused discussions with educators, university personnel, and experts in the fields of mentoring and education. The activities can help you "break the ice" if you need ideas for your weekly discussions. 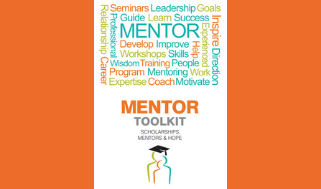 If you need a printed/bound copy of the Mentor Tool Kit, let us know. It is also available online in PDF format by clicking here . The digital version can be useful when printing out copies of exercises you and your mentee want to complete together. We will be adding 6 new students to the program this month and 3 of them at the schools listed below will need a mentor by February 20, 2019 . If you know any caring people like yourself that would love an opportunity to serve as a TSIC mentor, please email our Mentor Coordinator, Gina Granger, at ggranger@pascoeducationfoundation.org or call (813) 794-2134. Or you can simply forward this email and ask them to check out this awesome opportunity to change a life over lunch. Thank you! Every kid is just ONE caring adult away from being a success story. 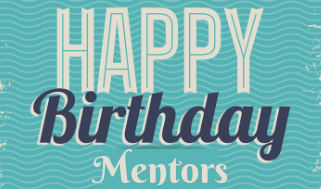 Thanks, Mentor , for being the ONE!